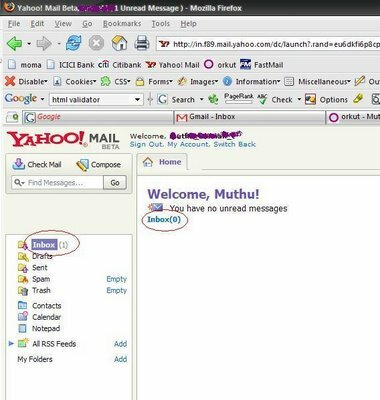 manki’s weblog: Google helped me to help Yahoo! 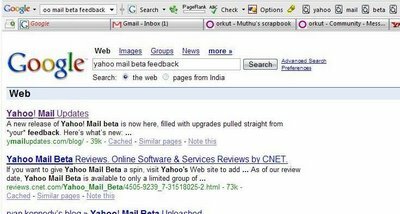 I'll adopt to use the Beta versions of the upcoming sites/software from Now..
Did you search in Yahoo! search using the same keywords. Because I did and it worked. Nope, it doesn't. 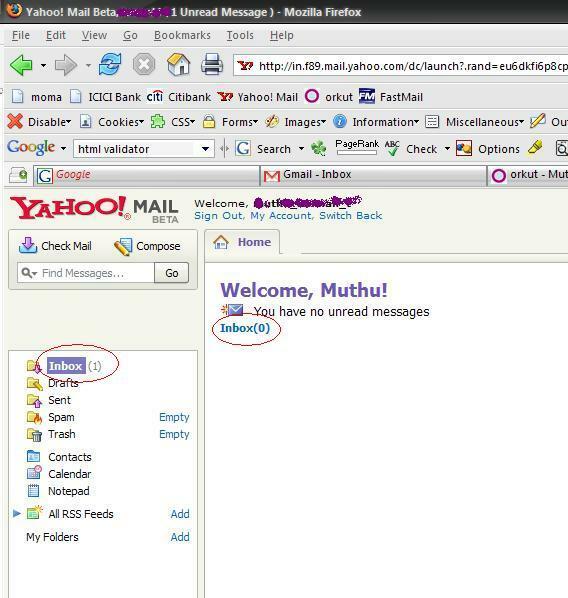 Try http://in.search.yahoo.com/search?p=yahoo+mail+beta+feedback&fr=FP-tab-web-t909&toggle=1&cop=&ei=UTF-8. 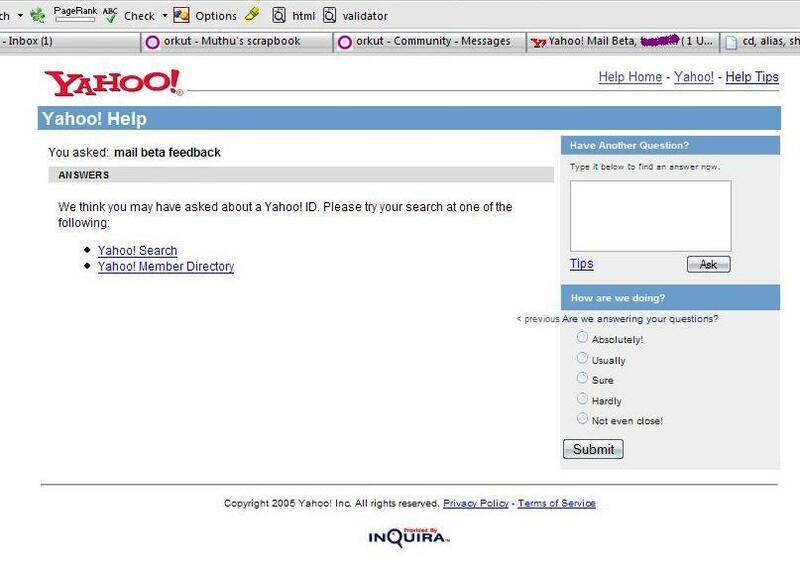 Maybe you searched Yahoo US? 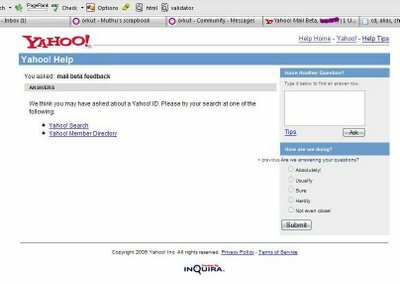 But I find lot of questions like How do I leave feedback for Yahoo Xyz? 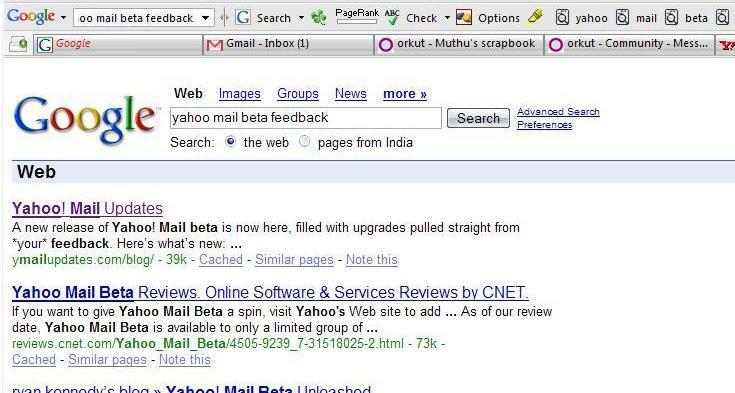 in Yahoo Answers (which I think is not a good sign). 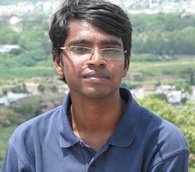 I have a inquiry for the webmaster/admin here at blog.manki.in. May I use part of the information from your blog post above if I provide a link back to your website?